May 5, 2012 -- Oswald Steward, Ph.D., director of the Reeve-Irvine Research Center, has been appointed senior associate dean of research for UC Irvine School of Medicine. The appointment will take effect June 1. In making the announcement, Dr. Ralph V. Clayman, dean of the School of Medicine, said Steward's "leadership will be tremendously beneficial....I truly look forward to working with him on many upcoming scientific issues and research endeavors." Steward, a professor in the Departments of Anatomy and Neurobiology, Neurobiology and Behavior and Neurological Surgery, was recruited to UC Irvine in 1999 to be the founding director of the Reeve-Irvine Research Center. With Steward at the helm, the center "has excelled on both a national and international level," said Clayman. In addition to its research activities, the center promotes the coordination and cooperation of scientists from around the world who are seeking innovative treatments for diseases and injuries affecting the spinal cord. Steward's research focuses on how nerve cells create and maintain their connections with each other, how these "synapses" are modified by experience and injury and which genes play a role in nerve cell regeneration, growth and function. 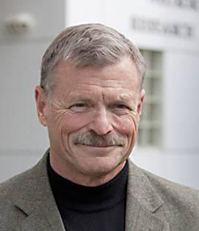 Among the projects Steward will be handling in his new role as senior associate dean of research will be issues of space utilization, instrumentation inventory and availability, and development of a searchable research database to easily identify faculty by the area of interest and grant funding. Prior to joining UC Irvine, Steward was the Harrison Foundation Professor of Neuroscience and Neurosurgery at the University of Virginia. Since 1975, Steward's work has been continuously funded by the National Institutes of Health and currently holds federal and private research grants totaling approximately $1 million annually. He is the author of two textbooks, Principles of Cellular, Molecular and Developmental Neuroscience and Functional Neuroscience and he has authored more than 260 research articles and invited reviews. Steward holds a bachelor's degree in psychology from the University of Colorado and a Ph.D. in psychobiology from UC Irvine.